Most employers are asking their employees to work longer hours, earning less money and with little assistance. We live in an age where we have instant access to emails, text messaging and abundance of information at the tips of our fingers. One would think with this we would have more time however it has been proven to have caused the opposite. Inundated with so much information, we sometimes find it more difficult to make a decision on the simplest tasks. Should I buy Samsung flat screen or Sony? Should I get a Ford or GM? Should I buy term life insurance or whole life insurance? If we continue differing making these decisions, it compounds the problem to the point where we get overwhelmed and run further away from the decision. In the end, what TV or car to buy has little impact on our future. By deferring buying important life insurance coverage, you are putting your family at a great risk. Your family may not be able to have the basic needs, such as paying a mortgage, food, education and so much more. My advice is simple – provide insurance. The need is real and the need for insurance will not go away. Whether you buy term insurance or whole life you will know that the basic needs for your family will be provided, if you are not there to provide . 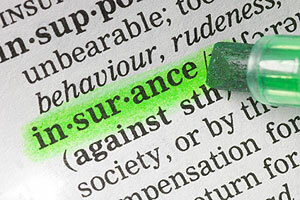 If you would like to obtain a instant online life insurance quote please feel free to visit our website.